Would you want your organs to live on when you die? Only 0.5% of all deaths are relevant to organ donation. And it is your own attitude that decides whether your organs are given away or not, whether through what you've said to your loved ones or through carrying a donor card on you. Until now donor cards have been paper documents that you must carry with you. 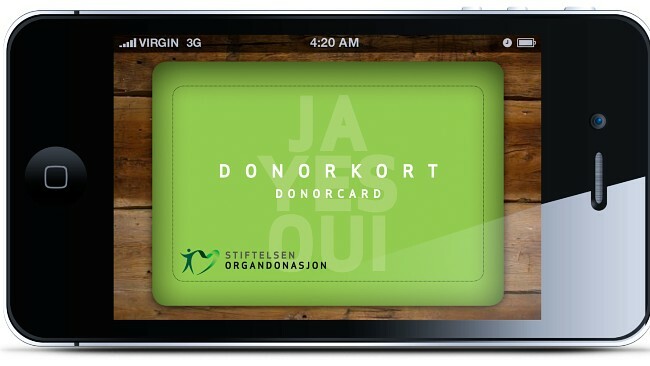 But Stiftelsen Organ Donation has launched a card as an iPhone and Android application. "The card is easier to carry with you, but the most important thing is that it makes it easier to inform your loved ones", says information consultant Troels N. Mathisen. The point of a donor card is to show that you have informed your relatives that you are okay with organ donation. "It is the families that have to answer for the dead, but in practice it can be difficult to have that conversation", says Mathisen. "The mobile donor card is not activated until you have added two relatives from your telephone list. When you activate the card, they are sent an automatic SMS, which becomes the starting point for the conversation." = "Hey! I have gotten an electronic donor card and said yes to organ donation. You are listed as next of kin. Read more about donor cards here: http://www.donorkort.no"
The donor card can be made easily visible on the phone even if it is locked. 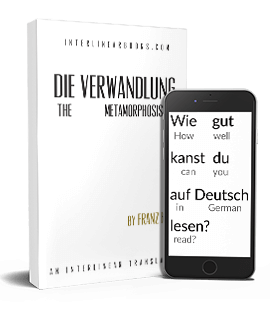 But Mathisen notes that "from our experience we can say that the most important thing isn't carrying the card with you, it's that the next of kin know what you want. If you are the victim of an accident, the ambulane personnel aren't going to be spending time looking for a donor card, they'll be spending time trying to save your life. If the situation is such that organ donation is appropriate, then the next of kin get the question "what did this person think about organ donation?" It's good to have a clear answer on that." Organ donation is only applicable with 0.4 to 0.5% of deaths. There are now not enough donors to help everyone on waiting lists. Every year 30 people die while waiting in line for new organs. - Only people who die of head trauma can be donors. - If your body is applicable to organ donation, your next of kin answer as to what you would want. - You can choose whether you want to donate any applicable organs, or whether you only want to donate certain organs. But you can't choose who will get them.